Q: Any recommendation for contemporary Christian songs for Easter? I want to sing a song for my Easter Program at my church, but I don't know much songs that aren't too old, and an Easter gospel song that can be harmonized is a plus. Thank you very much. God Bless. Easter 2018 arrives on April 1. When it comes to Easter, Easter service is essential, and songs are also needed to play in worship set. From old to contemporary, upbeat to gentle, at least one song from the best 2018 Easter praise and worship songs list we provide will tickle your fancy. Besides, we offer you a straightforward solution to free download Easter worship songs for offline playback, requiring no internet connection. MacX Video Converter Pro -Easily download 2018 praise worship songs, new Christian Easter movies, soundtracks, videos in full HD 1080P/720P from YouTube, Dailymotion, Metacafe 300 more sites to MP4, MKV, MOV, AVI any formats/iPhone, iPad, Android any devices you like . This is the 2018 new Easter Christian songs from All Sons & Daughters. You Are Love & Love Alone reminds us of our own part in that we have to play in the Easter story and the world - the message that our small actions can have a ripple effect. Meanwhile, their entire album is worth a listen for some of the more subtle Easter gospel songs on offer in 2018, including 'I Surrender' and 'Creation Sings'. This is a 2018 new Easter-themed worship song from Christian artist Chris Tomlin. If you are depressed or you want to pick a song to sing in church, Resurrection Power is just the right song. You definitely have resurrection power living on the inside when you listen to the song. Plus, official lyric video for the 2018 Easter song is available on YouTube. Who you say I am, I am child of God. A beautiful Easter song again out in 2018. We are chosen, not forsaken. With meaningful lyrics, powerful and anointed voice, Who You Say I Am is Christians' favorites. Love you, lord. With the downloader above, fans can save HD music video for this Easter song from YouTube within seconds. Nashville, Tenn. — Debuting in time for the celebration of Easter on March 18, 2016, Hillsong Worship is unveiling "Grace To Grace," their newest single composed by Joel Houston and Chris Davenport. You can get the gospel music download from YouTube. Moreover, Hillsong Worship is the congregational expression of worship from Hillsong Church – a global church with local expressions. Their music captures the heart and sound of Hillsong Church globally and represents the coming together of the Hillsong worship team from around the world. If contemporary harmonious Easter Christian songs are what you need most, I Am They, a 2015 new self- titled album for Easter worship is for you. This list for that its vocals, boisterous sound, prayerful ballads are highly appreciated. 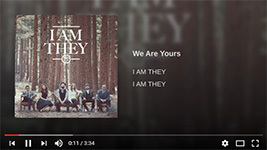 Note that I Am They are an American contemporary Christian music band, You won't go wrong if you choose Easter gospel worship songs from such band. Easter is indeed a happy day! If you want to download a Christian prasie song for Easter, a classic upbeat song for Easter worship and praise will be suitable. Oh, happy day, happy day, you washed my sin away, oh, happy day, happy day, I'll never be the same... 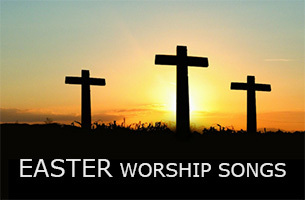 Simple lyrics make it a wonderful contemporary Easter songs for church worship to sing. But this song can't be found on iTunes if you are gonna buy it and download from iTunes, the fact is that you don't have to, instead, you are free to download it or any other Christian Easter worship songs for kids from YouTube without spending a penny with the help of free YouTube songs video downloader. 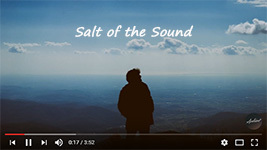 Here is a new praise and worship song for Easter 2018 service, Salt of the Sound, a musical collaboration of husband and wife duo Ben and Anita Tatlow. 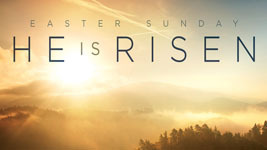 Relieve yourself from busy schedule, hope, pray, and enjoy during Easter service in church. Free Download Easter Worship Songs from YouTube, Possible? Buying MP3 songs for Easter worship from Amazon, or iTunes, downloading or recording songs for Easter from music streaming services like Spotify are not advisable when you have easy access to free download these songs from YouTube with MacX YouTube Downloader. 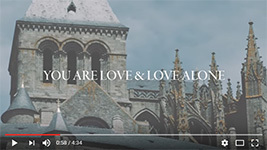 It allows you to download any Easter praise and worship songs you like from YouTube without formats and resolution formats, be it 4K, 1080P or SD, requiring no third party help. Its speed is quite impressive, normally, only a few seconds are needed for Easter worship songs download. It is 100% free and clean, no tricks, no adware, no spam, no spyware, no virus, just feel free to use it. Better yet, intuitive interface makes it deadly easy to use, without requiring much time studying user guide. Step 1: Free download Easter worship songs YouTube downloader and run it. Open the song on YouTube. Copy and paste URL of the song to the box frame and hit "analyze" to load the song. Step 2: Choose a format, resolution and file size you want. Step3: Select an output folder to save downloaded gospel songs for Easter worship and praise. Step 4: Click "Download" button to start downloading 2018 Easter worship music/songs on Mac/PC for iPhone 8/X/7/6s/Plus, Samsung, HTC, etc. mobile devices. We sort out popular Easter themed songs for worship sets. You can use MacX YouTube Downloader to download all of these songs effortlessly. Note that if you want to abstract audio from downloaded praise and worship songs for Easter, you can rely on MacX Video Converter Pro, which provides all-in-one solution to download YouTube music videos for Easter, including Easter worship music videos/mp3 songs, Easter movies, Easter crafts tutorial, etc. and convert Easter related songs videos to other video audio formats for playback on iPhone 8/X/7/6S/6S Plus/6/Plus, iPad Air 2/Mini 4, Android devices and many more.